“Blood Father” is a comic book crime thriller — pulpy and superficial. Yet it also features an arresting (if not precisely compelling) performance from Mel Gibson as a weary ex-con who suddenly finds his estranged teenage daughter violently thrust back into his life. We first encounter Gibson’s John Link at an AA meeting in a windswept desert burg. He runs a tattoo business out of his rusting mobile home, pees weekly into a cup for his parole officer and with the help of his sponsor (William H. Macy) tries to stay clean after a lifetime of excess and crime. Enter 17-year-old Lydia (Erin Moriarty), the child he hasn’t seen since her infancy. Lydia has run away from home, gotten involved with Jonah (Diego Luna), the jerk scion of a family running a Mexican drug cartel, and is now on the run from her boyfriend and his murderous associates. She’s spoiled, arrogant, and stupid. In fact, with the exception of Macy’s character, there’s not a genuinely likable figure in Peter Craig and Andrea Berloff’s screenplay (an adaption of Craig’s novel). If Gibson’s Link eventually emerges as semi-heroic, it’s only because our options are limited. And because Gibson was born to play this sort of character. Needless to say, Lydia’s presence brings down all sorts of woes on Link, who to protect his daughter must go on the run, thus breaking his parole. And that’s not even counting the bodies that start piling up. 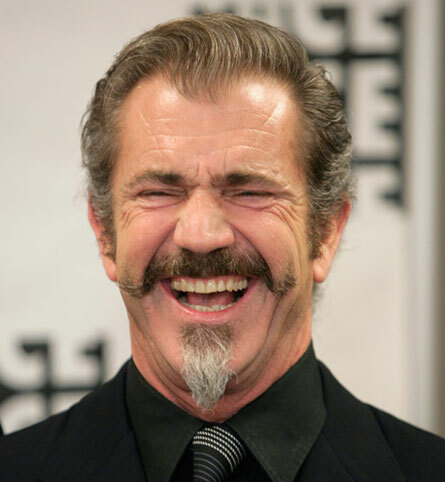 Mel Gibson: good guy beloved of coworkers...or raging sphincter? There’s a scene in Martin Scorsese’s “Mean Streets” (1973) in which the Italian American protagonist, Charlie (Harvey Keitel), holds his hand over a candle flame, testing whether he’ll be able to endure the fires of damnation that he is sure await him. Mel Gibson has been doing the same thing — metaphorically speaking — throughout his career. The actor is a curious case, a man who for years was widely regarded as a swell fellow, bon vivant, clever cutup and God’s gift to women. And yet there’s a darkness beneath his capering that comes through loud and clear in his movies. Has any other actor so frequently used his films to probe his terror of hell, an eternity of both physical and emotional anguish?